Nissan and Toyota consistently rank among the most popular new car brands available in the Downers Grove area. However, there are important differences to consider when searching for a new car. Continue reading to learn which brand provides greater safety, user-friendly technology, and a better warranty below. When you’ve decided which brand has the features and new vehicles you could see yourself in, contact our team by calling (888)448-1554 or use our test-drive form. Nissan vs. Toyota: Which has more impressive safety features? Nissan vs. Toyota: Is there a difference in technology features? Nissan vs. Toyota: Does one brand have a better warranty? Both Nissan and Toyota offer 36-month / 36,000-mile limited warranty coverage and 60-month / 60,000-mile powertrain coverage. However, Nissan also has roadside assistance for 36-months or 36,000 miles, but Toyota only offers roadside assistance for 24-months or 25,000 miles. If you want additional peace of mind, Nissan is the way to go. Nissan vs. Toyota: What are the differences in the lineup? While Nissan and Toyota offer several flagship vehicles for commuters to enjoy, there are unique models that only one brand offers. Nissan offers several performance models including the 370Z and GT-R. Toyota offers the 86 coupe, but it has very limited availability. The Nissan truck lineup offers models that range from light-duty Frontier to the commercial-rated Titan XD. Nissan also has a full range of commercial cargo and passenger vans. Nissan also offers the Leaf hatchback, a full electric vehicle. Toyota only has hybrid models available. Our Nissan dealership in Downers Grove, IL has two options to help the MSRP of Nissan cars, pickup trucks, and SUVs fit into our customers budget. You can finance or lease a new vehicle, while using new vehicle specials to benefit from savings. To learn about your payment plan options or get answers to your inquiries, contact the team at Bill Kay Nissan in Downers Grove, IL! Reach out via our contact form or by calling (888) 448-1554. Where can I find the new Nissan lineup for sale? 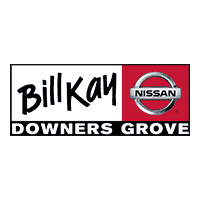 Bill Kay Nissan is the preferred choice for new Nissan cars, trucks, and SUVs in the Downers Grove, IL and surrounding areas. Our dealership features every new Nissan model, including popular vehicles like the Nissan Pathfinder and the Nissan Rogue, often in multiple colors and trim levels. We’re also conveniently located on Ogden Avenue near the Yorktown Mall. Discover your new Nissan in our inventory, compare models like the 2019 Nissan Sentra vs. Toyota Corolla or 2019 Altima vs. Sentra, and then schedule a test drive through our appointment form or by phone at (888)448-1554 to get behind the wheel of a new Nissan today!